The business of our company is based on professionalism, responsibility and individual approach to each customer. Any successful company employees use taxi service on a regular basis. The choice of corporate transportation company service is not only a commercial solution, but a significant part of business image which depends on your commitment and punctuality. We are confident that corporate service "Taxi 956" is the best solution to your transportation needs. We offer you safety, unified corporate style and comfort. We pay attention to all our customer suggestions to improve the quality of our customer service. The best way to provide our customer with transportation services is to sign a corporate agreement. It offers convenient clearing, special rates and services of high quality. 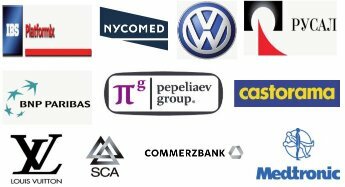 The quality of 956 Transportation Company service was appreciated by many Russian and overseas corporate giants that have become our regular customers. Safety guarantee and professional responsibility. We are reliable, fair and open for fruitful and long–term cooperation! Highly skilled managers will develop a special offer, based on your company needs, arrange and ensure further support of transportation service.